The hard work of students and staff at Ormiston Forge Academy continues to be recognised. Just this academic year the Cradley Heath academy has been awarded the Well-Being Charter Mark, the gold award for the Sandwell Early Help Partnership and become the lead Sandwell school for the Black Country Careers Hub. Becoming the Sandwell lead for the Black Country Careers Hub involves sharing examples of best practice and case studies with the Enterprise Adviser and championing the programme with other schools, colleges and businesses. It also means sharing information, experience, materials and skills with partners in the hub. The group will learn from each other and develop effective working practises, work collaboratively to identify solutions, eliminate duplication of effort, mitigate risk and reduce cost. The director of work related learning at Forge, Rachel McCarthy, said, “This places us firmly at the heart of the local careers hub and allows us to shape the future for students from across the Black Country. Additionally, the Sandwell Well-Being Charter Mark project has been co-developed by Inclusion Support and Sandwell Council’s public health department in response to the recent National Institute for Health and Care Excellence (NICE) guidelines. The project stems from an identified need to develop and focus thinking around whole school approaches to promoting positive mental health and wellbeing. The project addresses the wellbeing and mental health of all those in the school community (parents, staff, and pupils) and works on the premise that everyone, at some point in their life, will have some difficulties around mental health and need support from others. 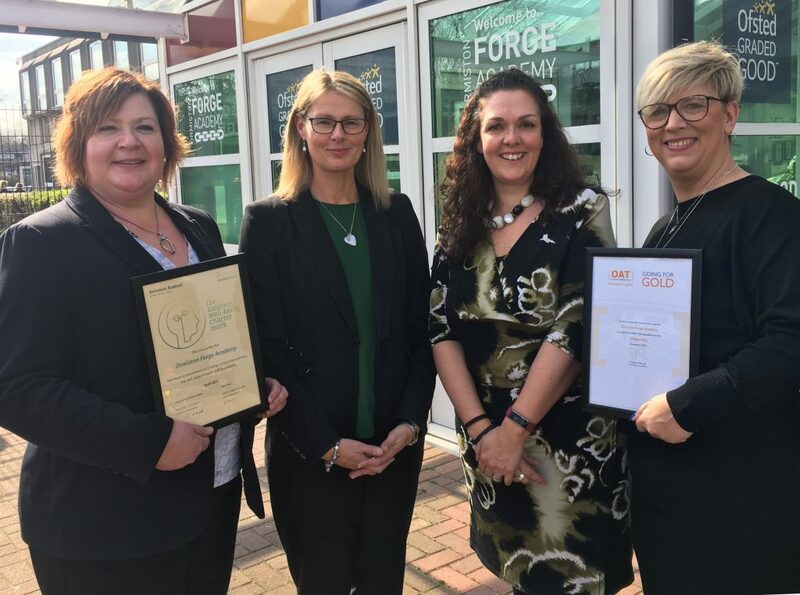 Geraldine Butler, the vice principal for inclusion at Forge, said: “We’re very proud of achieving this charter mark and our dedication to the wellbeing and mental health of our Forge family continues. Finally, the Sandwell Early Help Partnership brings together schools, voluntary agencies, community organisations, faith groups, Sandwell Council, health providers, police and fire services and others, to work more closely supporting children and families in Sandwell. The Partnership believes that all children and young people growing up in Sandwell deserve the best possible start in life and should have access to a wide range of opportunities to grow and develop into healthy, happy individuals and active citizens within our community. Gold level members, like Forge, make a range of commitments including working well with other local partners, maintaining best safeguarding practice throughout their organisation, developing their knowledge of other routes to support, and playing a lead role in helping students and parents address concerns and challenges when they arise. Head of academy, Lisa Mason, said, “These achievements don’t happen overnight, they are the result of deeply committed staff and rigorous, lengthy processes. They are motivated not just by our students but by students right across Sandwell and you’ll note that all three reach out into the community and positively affect all children, not just Forge children. 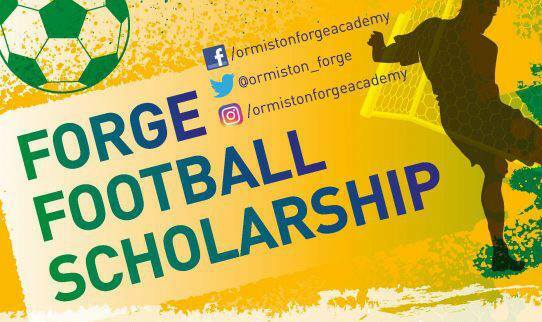 After some months of planning, Ormiston Forge Academy are delighted to be able to announce the launch of a new football scholarship programme in association with Gornal Athletic FC. The programme is designed for students from the local area aged 16 to 18 to combine high calibre football education with A level / BTEC education courses, whilst also undertaking FA accredited qualifications in various areas of the game. The programme will be led and directed by former professional footballer Richard Forsyth, who has 15 years playing experience, 15 years teaching experience and is a UEFA B licensed coach. Ormiston Forge Academy scholarships have previously helped many students attain A levels, places with universities, degree apprenticeships, places of work with football clubs and football scholarships in the USA and Canada. A presentation evening will be held for interested parties on Wednesday 10th April at Ormiston Forge Academy, B64 6QU at 17.30 -18.30 where Richard Forsyth, Andrew Burns (Executive Principal), a representative from Gornal Athletic and current scholars will be on hand to discuss the new programme in more detail. There will also be a football trials day on Wednesday 17th April 11am -2pm at Forge where students will be put through their paces. 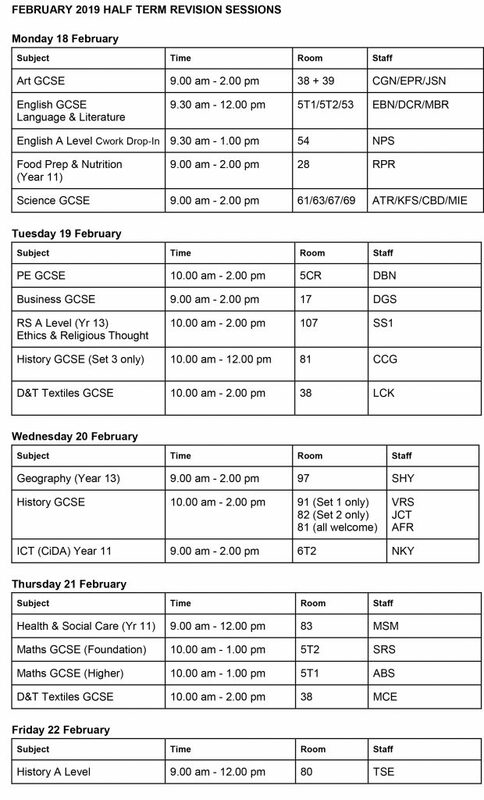 The minimum entry criteria for students is current year 11, turning 16 before September 1st. Anyone interested should make contact using the details on the scholarship flyer or via the clubs website and social media (Twitter, Facebook). We have been asked to post this on behalf on the Sandwell Education Directorate. This is not an Ofsted inspection at Forge. Thank you. TikTok is a social media platform that allows users to express themselves through singing, dancing, lip-synching and comedy videos that can be shared with others in the TikTok community. This social network app is from the creators of Musical.ly. As Musical.ly officially went offline in 2018, TikTok (known as Douyin in China) has taken its place offering the user the ability to watch musical clips, create short clips up to 60 seconds and add special effects to them. All the content that was hosted on Musical.ly is now on TikTok. So if your child had a Musical.ly account they will now be able to access this content on TikTok. Currently, the app is available in 34 languages with 150 million active users. Like Musical.ly before it, it is most popular with under 16s. Users, or formerly known as ‘musers’, can either sign up using their Facebook, Instagram, Twitter or email account. WHY DO TEENS LIKE IT? Tik Tok is a fun app that allows teens to create and share videos with their friends. Since the early days of social media (in particular on YouTube,) lip-syncing videos have proved a popular form of user-generated content among teens. The popularity of TV shows such as Lip Sync Battle has also helped drive interest in this type of platform. Teens also enjoy competing in the different challenges which can be entered via the trending hashtags on the app. The app has a very dedicated, young community of users. For many of these users, gaining likes, followers and getting their videos featured on the app are important priorities. Creating and sharing their own content is now a big part of how teens spend their time online. Teens are moving away from being spectators online to becoming content creators. This app can be a really creative way, fun way for teens to express themselves and create their own social content. Like most other apps and social networks, users can follow other users, like and comment on other users’ videos. Teens can send emojis to their favourite singer on TikTok. Users can select the song they wish to use in their video first, then record themselves miming along to the music. Alternatively, users can record their video first and then select a song. The app has lots of ways to add more fun to user’s videos, for example, there are options to shoot in slow-mo, time lapse, fast forward, filters, effects or even play the song backward etc. Once users are happy with their video, they can post it to their followers and share it on other social networks for example; Messenger, Vine, WhatsApp etc. There is also a duet feature which allows you to connect with another user and lipsync together. The search tool allows users to view other videos. Users can also view content under the trending hashtags and submit videos using these hashtags (similar to how Instagram works). The hashtags are also used to submit videos for challenges – for example; #Lipsncychallenge, #Comedychallenge, etc. TikTok is rapidly becoming the most downloaded app. According to ProductHunt.com, the TikTok app has more downloads than Snapchat, Spotify, and Gmail combined on the App Store (as of August 2018). The TikTok app mixes self-deprecating humour with the latest pop music, making it popular with students. There are only two privacy settings on the app: Private: only the creator can watch their videos and Public: anyone on the app can see their videos. By default, all accounts are public unless the privacy settings are changed. Apps like TikTok can allow strangers to direct message your children. Musical.ly app users have been automatically transferred to the TikTok app. WHAT SHOULD PARENTS BE CONCERNED ABOUT? When you download the app users can see all the content without creating an account although they are not able to post, like or share anything until they’ve set up an account on the app. You can set up your account by using your existing Google, Facebook, Instagram account, via email or phone. By default all accounts are public so anyone on the app can see what your child shares. However, only approved followers can send them messages. Users can like or react to a video, follow an account or send messages to each other. There is the risk that strangers will be able to directly contact children on the app. Children may be tempted to take risks to get more of a following or likes on a video so it’s important to talk about what they share and with who. To delete an account you have to request a code from the app using a phone number. Learn how to keep your kids safe on the TikTok app. Monitor and have a dialog about the apps your children are using. Always be on the apps your students use. No monitoring app is better than having a regular digital safety conversation with your children. Consider creating a Family Cell Phone Contract before giving your students access to a mobile device. If your child already has a phone, ensure that they ask for permission before downloading and using any new apps. Have your child teach you about any new apps they want to download. Then do some research on your own to determine if the app is safe for your family to use. Remind your children that their online activity (even under a fake username) can impact their reputation. The O2 NSPCC Online Safety Helpline can help you to set up parental controls, adjust privacy settings or get advice on social networks. You can call them free on 0808 800 5002. For face to face advice and support, you can also book a free in-store appointment with an O2 Guru (even if you’re not with O2). SETTINGS, RISKS AND HOW YOU CAN HELP KEEP YOUR CHILD SAFE. By default all accounts are public. Consider setting the account to private/friends only. Go to the profile using the head icon in the lower left corner and tap the gear icon in the upper right corner. Select “Privacy and Settings” and click on “Privacy and Safety”. Here you can secure the account by making your account private. With a private account only approved users can see the videos, however, the profile remains public. To block a user, go to their profile, press on the “…” in the upper right corner, and select “block this user.” You can unblock a user on the same menu. Users can report comments, videos, chats, or other accounts. Users may be exposed to bad language and content of a sexual nature. Users can comment on other videos, this leaves the potential for online bullying or negative comments. The app does appear to promote positive comments and encourages users to ‘say something nice’, however, if you come across an inappropriate comment there is an option to report abuse. With anything shared online, we recommend getting to know how the app works, check your privacy settings and always use the Granny Rule! 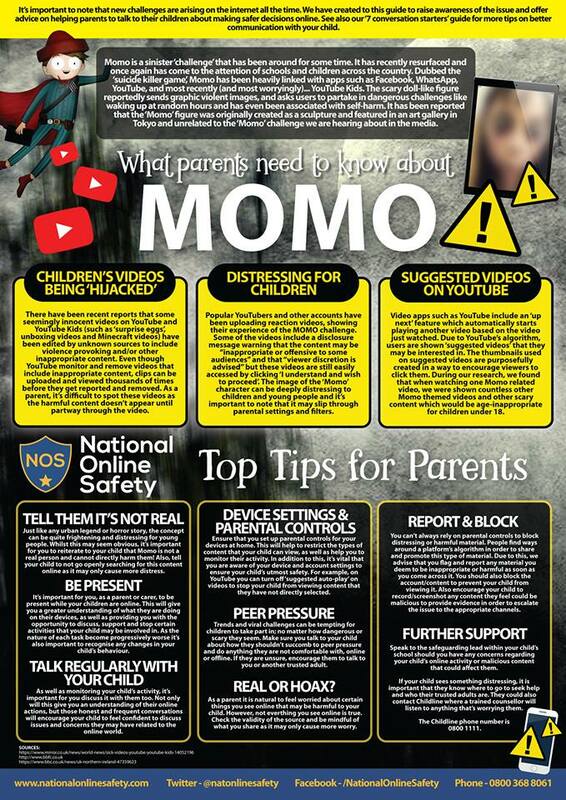 We want all young people to stay safe online and you will have noticed that we’ve been releasing parent guides for things like Instagram, Roblox and Snapchat over the last few months. Parents can play their part too by working with children and being aware of what is being accessed and how. We believe that all forms of social media and online activity can present a risk if they aren’t used properly, not just the ones that the media picks up on for a while. It’s through sustained education, care and awareness that we will be able to make a difference and keep our children safe. 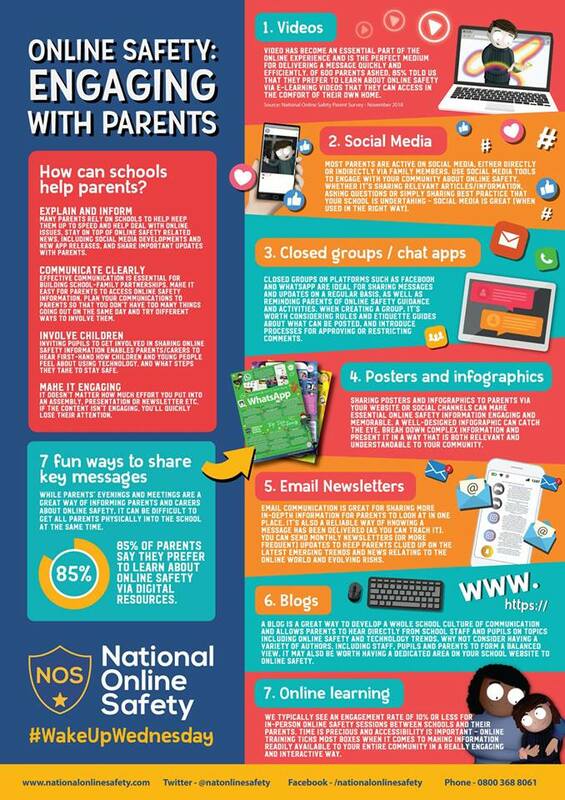 We are on hand to support students and parents if they have any concerns or worries about #cybersafety; please message us directly and we’ll do all we can to provide the right resources and answer any questions. 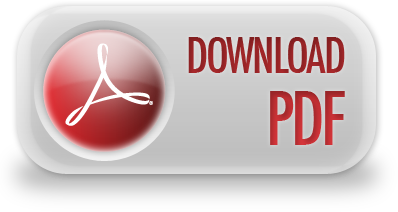 In the meantime, the attached guides are good places to start. We aren’t going to spread any panic but we do want you to help us, get involved and supervise what children are watching, whatever it may be. SNAP MAPS isn’t a new feature on Snapchat – but is it one you know about? The location targeting is accurate enough to see exactly where users are in real time. 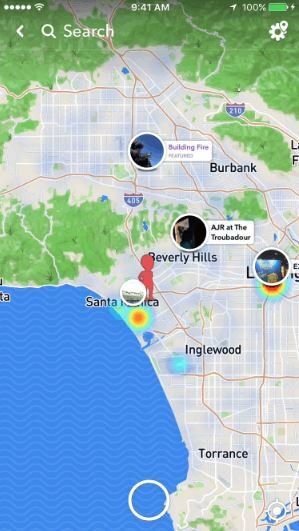 This location-based map allows users to see where in the country their Snapchat contacts are, as well as seeing location-based photos and videos. The Snap Map shows a user’s Bitmoji, their cartoon avatar within Snapchat, pinpointed on a world map. Users can then zoom into the map to see the exact location of their friends. To access the Snap Map in the latest update of the Snapchat app, users need to go to their camera screen within Snapchat and zoom out using two fingers. This will then launch the Snap Maps screen and will allow a user to see their friend’s locations. Ghost Mode means that you are the only person who can see your location on the map. My Friends means that all of your contacts on Snapchat can see your location. If turning on this setting then it would be important for users to review their Snapchat contacts and also make sure that they never add someone they don’t know in person onto Snapchat. This setting allows users to look through their friend list and then decide which of their friends they want to be able to view their location. This setting gives users the opportunity to control who can view their location. Don’t add contacts to Snapchat if you don’t know them in person. Regularly review your settings and take an active decision about whether you want people to know your location. Remember you can switch this off at any time. Think about where you’re sharing your location. Location services such as Snap Maps can lead people to your house. Think about what times you’re on the app and whether these are locations you want to share – if not, then turn this off within your settings. Thank you for your continued support, especially with our drive to raise standards and expectations. We are delighted to announce that we have been awarded the Sandwell Well-being Charter Mark. This has been awarded based on feedback from students, parents and staff about how the Academy promotes and supports the well-being and mental health of all stakeholders. Auditions for the school musical are happening but there is still time for students to join. Rehearsals take place in 5CR, every Friday, after school. Fame Jr will be performed at Netherton Arts Centre on July 11th at 7pm. BTEC music students will be showcasing the work they have been doing throughout the year in their lessons on 4th April 2019. Students who receive music lessons at Forge will be showcasing their talents and hard work in a concert on the 13th June 2019. Congratulations to Amy Hall who achieved a distinction for singing in her grade 8 Musical Theatre exam. It is really pleasing to see most students fully equipped and in full uniform, ready to learn every day. Please work with us to maintain these high standards; students are expected in full uniform with a pencil case, pen, pencil and ruler as a minimum. A reminder that both fizzy drinks and energy drinks are not allowed in the Academy. Furthermore, mobile phones should not be seen or heard in lessons. In order to support students in developing reading skills which underpin all areas of the curriculum, students in years 7 and 8 participate in ERIC (Everyone Reads In Class) every day. After the Easter holidays, all students in years 7 and 8 will be expected to have a reading book as part of their equipment. As I am sure you are all aware, we have a very active house system at Forge and it’s a feature of the Academy that we are very proud of. There are many activities that students are encouraged to take part in. On Friday 15th March 2019 there will be a non-uniform day for Comic Relief that will also include the annual ‘Forge Has Got Talent’ show hosted by former student and current Miss Black Country, Alexandra Darby. The show will also feature local tribute acts and former students of the Academy who have entered the music industry. 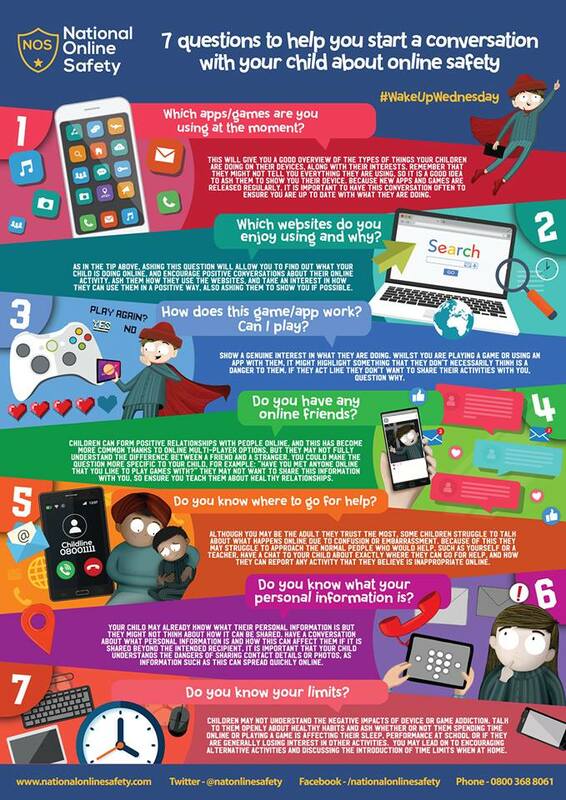 CEOP – https://www.ceop.police.uk/safety-centre/ – CEOP helps keep children and young people safe from sexual abuse and grooming online. Kooth – https://www.kooth.com – an online counselling and emotional well-being platform for children and young people. If you are worried that you, your child, or a child, is in immediate danger please call the police on 999 straight away. As an Academy with responsibility for the health, safety and welfare of young people in our care, we constantly need to renew our policies, test our procedures and communicate plans to our Forge family. You will be familiar with lockdown procedures in primary schools and in the workplace, we are no different and we have an obligation to test our plan in a similar way to the way we test our fire alarms. • A reported incident or civil disturbance in the local community which potentially poses a risk to the Academy community. • A dangerous individual in the locality. • An intruder on the Academy site with the potential to pose a risk to students, staff and visitors. • A warning being received regarding a local risk of air pollution (for example smoke plume, gas cloud). • A major fire in the vicinity of the Academy. • Serious accident on-site requiring good access for emergency services. What is lockdown? It is similar to fire alarm/drill. However, students stay INSIDE THE BUILDING. When would it be used? When the Academy is alerted to an EXTERNAL incident which means we have to stay inside. How will students know lockdown has started? A horn will sound. Calmly sit beneath desks/on the floor/out of sight. Stay like this until staff give you further instruction. How will students know lockdown is over? A horn will sound. Please do not be alarmed. These things do not normally happen but we do need to be prepared for such eventualities. We will be discussing this with students and we will be practicing locking down our site.